To date, The Galway Races has had a long and exciting history and has become what is now one of the most famous tracks in the world. 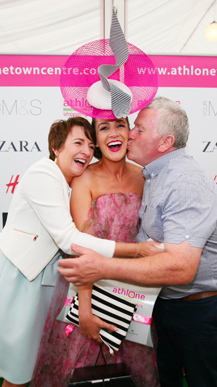 The Galway Races holds a very special place in the heart of many race-goers from across the globe, and indeed in the hearts of Galwegians themselves. Records of organised race meetings in County Galway go back to the mid thirteenth century, when what were known as horse matches were run under King’s Plate Articles. In 1864 there was a five-day race meeting at Knockbarron near Loughrea; and exactly 100 years later a Western Plate was confined to “gentlemen riders qualified for National Hunt Races at Punchestown or members of the County Galway Hunt”. The opening day at Ballybrit was on Tuesday, 17th August, 1869, when contemporary records show that 40,000 people turned up to watch the racing. The park at Eyre Square had to be used as a camping site for the huge crowds that arrived in the town well in advance of the two-day race meeting. The Chairman of the Stewards at the Meeting was Lord St. Lawrence, then M.P. for Galway and the man given most of the credit for creating Punchestown. His fellow stewards were all involved in the tradition of hunting and steeplechasing – men like the Marquis of Clanricard, Lord Clarmorris, Captain Blake Forster, Henry S. Persse, Pierce Joyce, George Morris and Valentine Black. Captain Wilson Lynch of Renmore gave the land at Ballybrit free of charge, and the racecourse, measuring one and a half miles was laid out by a civil engineer, a Mr. T. Waters. The Galway Vindication described it as “covered with herbage or moss and excelling any course in Ireland for good going. There were eight events, four on each day, but the main attraction was the Galway Plate “ .. of 100 sovs., an open handicap steeplechase of 2½ miles…” Eight jumps had to be negotiated, two of them stone walls. Tenant Farmers could race in the Glenard Plate (£50); and there was a Visitors Plate for gentlemen riders. There was wide advance publicity. The Midland and Great Western Railway agreed to carry all horses to and from the course free of charge provided they had run in a race – a great concession and a sure encouragement to entrants. Special trains came to Galway from all over the country and the Lough Corrib Steam Navigation Company ran a special service from Cong for the two days racing. 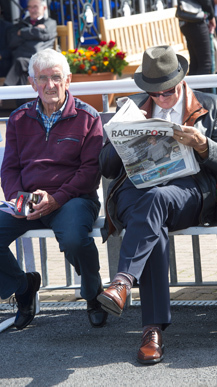 A mounted official watched the racing on both days and jockeys were warned that “if found guilty of sly practices in riding that they would be disqualified”. Local prints describe the first day as “a magnificent success, with all honour to Lord St. Lawrence… “ r. R. Bell’s Absentee won the Galway Plate in a field of thirteen runners and Mr. John Ussher’s Ishmael won the Ballybrit Plate and the Renmore Stakes. In terms of social success the meeting was a winner. The Vindicator commented: “The Galway Races promise to advance in the future equal, if not superior, to any other provincial races in the country”. In over one hundred years of racing at Ballybrit, the tributes paid to Lord St. Lawrence, the man who started it all, and the optimism expressed in local newspapers appear to have been deserved and well-founded. Galway Races have gone from strength to strength. Many improvements were made for the 1870 meeting. A new Hunter’s course with a “rattling double bank similar to the Punchestown bank” was constructed and additional fly fences erected. With the years the pattern and quality of the meeting improved. By 1879, Mr. Garret Moore’s Liberator, ridden by the owner at Ballybrit, went on with the same rider to win the Grand National; and in 1898 another Galway Veteran, Drogheda, won the National from a field of 23. But the greatest Galway Plate runner was undoubtedly Tipperary Boy won the Plate three times – in 1899, 1901 and 1902. The only horse to come near this record was Clonsheever, who won in 1923 and 1924 but finished third in 1925 carrying 13 stone 1 Ib. The classic performances of East Galway in the late twenties and early thirties are still recalled by many enthusiastic Galway patrons. Having been successful with 12 stone 7Ib, in 1928, this horse was given 12 stone 10Ib the following year when he was narrowly beaten into second place and again in 1931 with 12 stone 7Ib, he came fourth. When competing in the Blazer’s Plate in 1933, he was still rated as one of the finest chasers in Ireland. One family kept up it’s connection with Ballybrit right from the start, a connection which was broken only when Harry Ussher died in 1957. The Ussher Stables turned out seven Galway Plate winners, and in 1920 Harry Ussher trained the winners of all the races on the opening day – except the plate itself. Galway Races have always attracted fine steeplechasing bloodstock. Winners of the the Irish Grand National like Fair Richard and Red Park have been well tested over the course, and Ballybrit has seen winners of the Ulster Grand National, too. 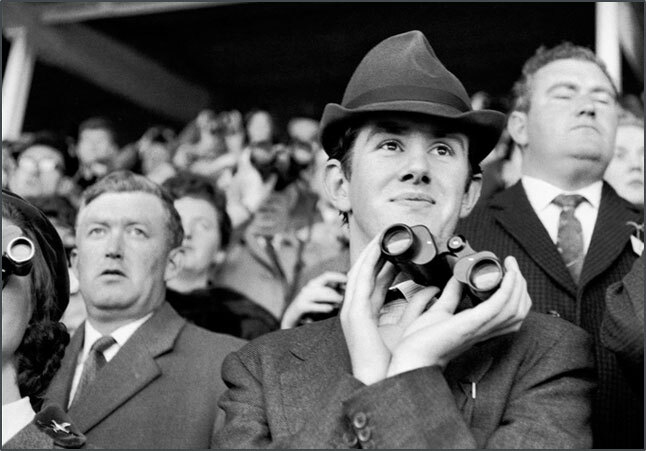 Broadcasting of races commenced in 1929, and in that year, the Curragh Derby and Galway Plate were broadcast, and television arrived in 1963. Sponsorship came in 1959 and racing was extended to a three-day meeting. 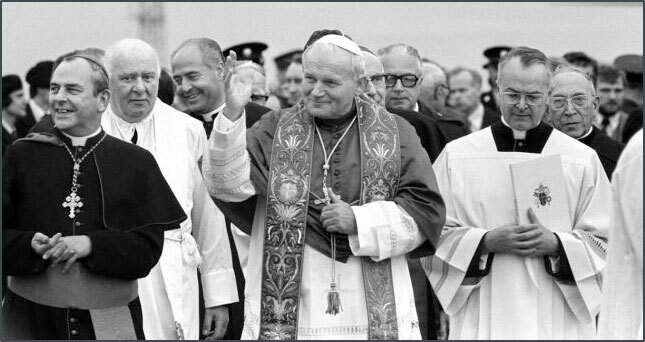 The visit of His Holiness Pope John Paul II to Galway on the 30th September 1979 is one of the most memorable moments in the history of Galway and indeed the Galway Racecourse in Ballybrit. It is estimated that 280,000 people flocked to Ballybrit to enjoy the papal visit. There were 77 concelebrants, 200,000 communicants with 800 priests distributing communion and 4,000 stewards. There was a great air of expectation, excitement and calm amongst the 280,000 crowd awaiting the arrival on the papal helicopter. Flocks of people thronged to the racecourse with layers of clothes on, backpacks, plastic bags of food and flasks. There were lots of people on the side of the road selling stools, large umbrellas and flags of all sizes. The organisation and stewarding was superb as the stewards directed the people to their allocated “Corral”. Father Michael Cleary and Bishop Eamonn were a terrific double act, entertaining the huge crowd and getting them going. Never was “By the Rivers of Babylon” sung with such gusto, or by so many. As the papal helicopter hovered overhead, the crowds waved excitedly. Children up on adults’ shoulders, flags waving, banners from every parish in the country, cheering. The intense excitement was eventually replaced by a spiritual calm as the mass got underway. “This morning the Pope belongs to the Youth of Ireland”. “On returning home, tell your parents and everyone who wants to listen, that the Pope believes in you and that he counts on you”. “Young people of Ireland, I love you”. In over one hundred years of racing at Ballybrit, the Galway Races has gone from strength to strength with now in excess of 150,000 poeple attending the week long festival every year. Recognised as the greatest mid-summer festival in Ireland, punters from all over the world visit the famous race track year after year for a great mixture of racing and old Irish craic. When the racing is over they stream into the city to carry late into the night. The Galway Race Course Committee pays tribute to Lord St. Lawrence, the man who started it all. Galway Racecourse announce a €6 million redevelopment aimed at enhancing the racecourse facilities ahead of 2018 festival. Horse Racing Ireland approve funding of €2.1 million for the course as part of this €6 million redevelopment. The investment will take place in the enclosure to the north of the parade ring. Galway Racecourse receive an award from the Association of Irish Racehorse Owners in recognition of the efforts to enhance the race day experience of the owner at Galway. Galway Racecourse recognised for its high class hospitality winning the HRI Special Category award “Best Catering”. New Entrance Building and refurbishment of Corrib Bar and Panoramic Restaurant. State of the art Killanin Stand was officially opened by An Taoiseach Bertie Ahern. Stand was built at a cost of €22 million. Tote Ireland sponsor the Tuesday of the Summer Festival Meeting. William Hill Organisation sponsor the Galway Plate. Galway Race Committee wins award at Horse Racing Irelands Annual Horse Racing Awards ceremony in December 2005 for their contribution to the Industry. 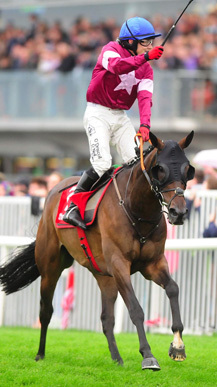 Hewlett Packard ceased their sponsorship of the Galway Plate following the Summer Festival Meeting in 2005 after 21 years of sponsorship. Ansar trained by D.K. 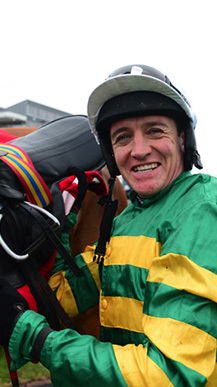 Weld wins the Galway Plate three years in a row. Mercer Hotel sponsor the Sunday of the Summer Festival Meeting. The Minister for Arts, Sports and Tourism, Mr John O’Donoghue, TD officially opened a range of state of the art facilities at Galway Racecourse, including a new weighroom, media centre and administration building on Tuesday 29th June, 2004. Powers Gold Label Racecourse of the year. Best Racetrack National Hunt presented by the Irish Stablestaff Association. Radisson Hotel sponsor the Sunday of the Summer Festival Meeting. Racecourse of the year – sponsored by The Star. Pedestrian Underpass: Completed in 2002 was a Pedestrian Underpass and new Entrance Building to compliment the Vehicle Underpass project. For the first time, this will allow punters free flow access to the Race Meeting while racing is in progress. Vehicle Underpass: Another recent development which has eased traffic flow entering and exiting the racecourse. 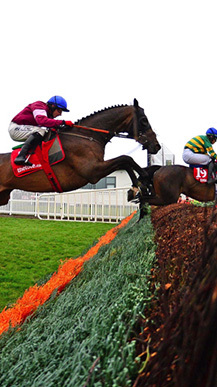 Galway Races was extended to a seven-day festival with the addition of Sunday racing. Construction of the Millennium Stand at a cost of £6.5 million and features a panoramic restaurant on the top floor, reserved seating balcony, bar , food and Tote betting facilities on all floors. 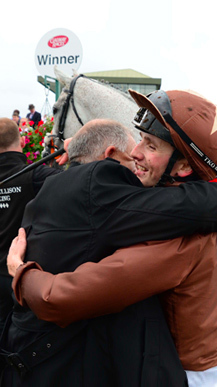 When the Summer Festival Meeting was increased to six days, by taking in Saturday, Galway became the racecourse with the greatest number of days in any one meeting. GPT sponsor the Monday of the Summer Festival Meeting. The September meeting further extended to three days. The Summer Festival Meeting was extended to five days when Friday Racing was introduced. The Summer Festival Meeting was extended to four days and, in the fall of the same year, a major development commenced. This scheme consisted of erecting a new stand to accommodate 6,000 people and a new administration building which contains offices, weighroom, jockeys’ rooms and ambulance room. The September Meeting was extended to two days. The September Meeting was introduced.